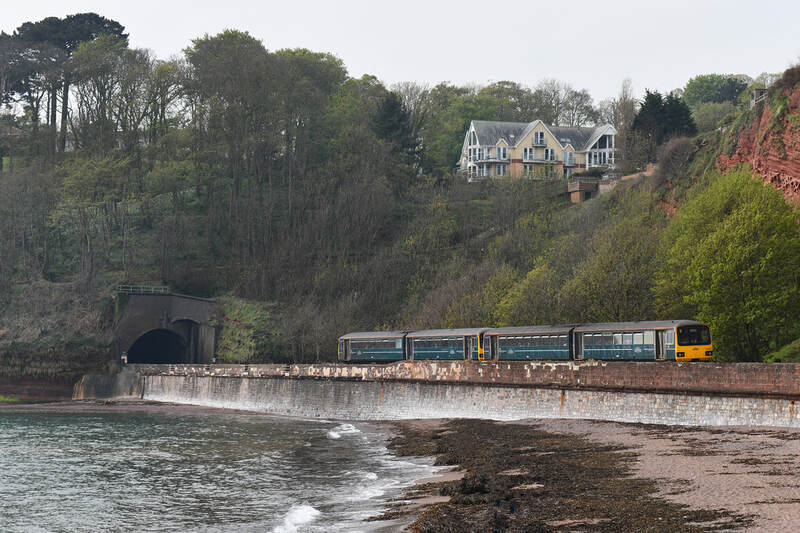 Viewed between Kennaway and Coryton Tunnels at Dawlish, Class 143s Nos. 143618 and 143603 head west on 23 April 2019 forming train 2T11, the 10.23 Exmouth to Paignton. Welcome to the updated Railway Centre.Com website. Following transfer from our old servers to our new site earlier in the year, retaining a number of the original features, including our highly popular 'Picture of the Day', we are now getting over 10,000 hits per day, with the most popular pages being our Picture of the Day. By popular demand, and to provide as much information free of charge to fellow enthusiasts as possible. Our site changes now allow us to upload news items from a handheld smartphone or iPad and is thus less time consuming to maintain, it also allows us to upload last minute changes and follow important news stories - This service will be back soon. Feedback from visitors is important to us, so if you have any comments or suggestions please drop us an e-mail. Much further expansion to this site is in the pipeline, much of which follows reader comment. We have no intention whatsoever to introduce any form of charges, log in or password system, allowing users easy site access at all times. All our main services are free. In the future, we will be producing a limited number of e-books - these will of course be chargeable on a one-off basis and be viewable on all modern computer and iPad equipment. Watch here for details. The Railway Centre.Com are always looking for quality digital images for use as Picture of the Day. If you have any suitable item, preferably with a news content, please submit as an e-mail attachment in a jpg format to railwaycentre@gmail.com Please do not reduce your image to less than 1600 pixals in width and please do not add text or graphics to the image. Remember to include as much information about the picture as possible, including the loco/unit number, train, date and location, plus your name. We are also willing to include personal website details at the end of the picture credit.